When I originally began this blog it was my intention to take regular recipes and see how I could ramp them up with flavours of apple. I have done a fair bit of adding apple to recipes but have failed to add them to my blog before the bottomless-pit-teenagers manage to remove all trace of such baking experiments. The Bushwalker Cookies recipe is the perfect recipe to create an apple-tastic version. 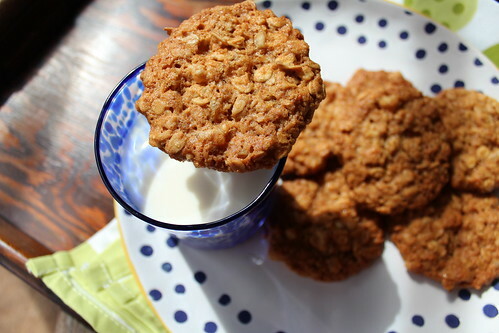 A variation included in the Cookie Magic book was to add honey and extra rolled oats. I have used tart apple syrup instead of honey, and replaced the water with organic apple juice. It is only 1 Tablespoon so I’m not sure it makes that much of a different but the layering up of the apple flavours has created a delicious cookie. 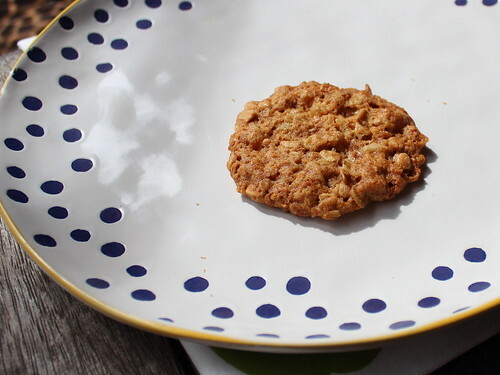 The cookies are fruity, oaty, crunchy and still dairy-free. Preheat oven 140ºC and grease & line baking trays. Blend the oil, milk and sugar together then beat in egg, extract, apple juice, tart apple syrup and baking soda. Scrap teaspoonful blobs of mixture onto the baking tray, leaving room for the cookies to spread. Bake until crisp on the edges and golden (about 18-20 minutes). 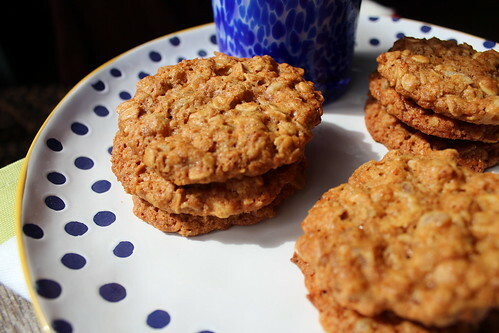 This entry was posted in Biscuits & Cookies and tagged Bushwalker Cookies, Dairy-Free, dairy-free biscuits, dairy-free cookies, Dried Apple Chunks, organic apple juice, tart apple syrup by Jo Dohrman. Bookmark the permalink.